HOW DID HE GET HERE? Boyce committed to Charlie Strong back in April 2016. Only four Big 12 schools offered him scholarships (Texas, Oklahoma, Baylor and Iowa State). 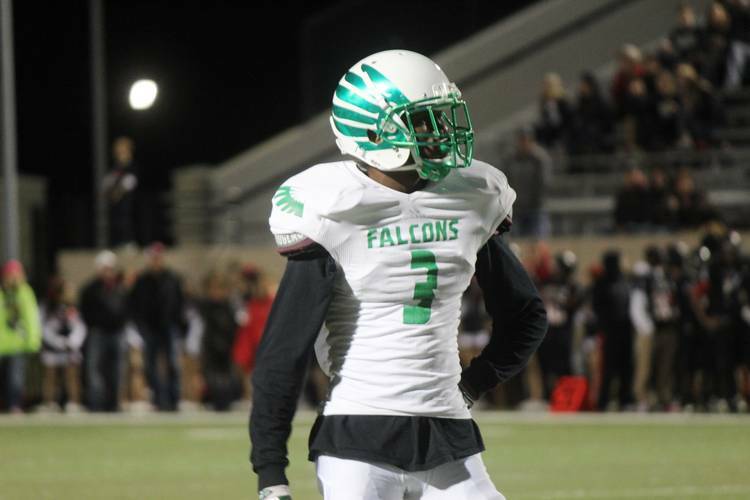 AT LAKE DALLAS: Helped lead Lake Dallas to its first ever state semifinal berth, a Class 5A Division II appearance in 2015. Was a two-time all-district pick as a defensive back, but also played wide receiver. He played his freshman and sophomore years at the Shelton School, a private school in Dallas. WHAT HE’S WALKING INTO: Texas has several cornerbacks in the mix — Kris Boyd, Holton Hill, Antwuan Davis, Davante Davis and Eric Cuffee to start off — so finding his way onto the field as a freshman may be a challenge. If the Shelton School did anything, it left a lasting impression on Boyce that defensive backs can have a huge influence on the game’s outcome. That’s according to then-Shelton coach George Teague, who played nine years as a safety in the NFL and the last four with the Dallas Cowboys. “He put me in that DB mindset,” Boyce said. Boyce had some personal reasons to transfer to Lake Dallas from Shelton prior to his junior year. Boyce’s father, David, was battling lung cancer. Considering the Lake Dallas campus is just five minutes from their home, Boyce thought it was far better than a 45-minute drive south into Dallas to attend Shelton. Former Texas coach Charlie Strong may have been slow to recruit Boyce, but his cool way of making a formal scholarship offer made quite an impression. During a spring practice, “Charlie came up to me and said, ‘You know you’ve been offered, right?’ I said no. He said, ‘Well, you are,'” Boyce said. The coach casually walked away while the family was ecstatic. He committed practically overnight.